Spring cleaning season is upon us! 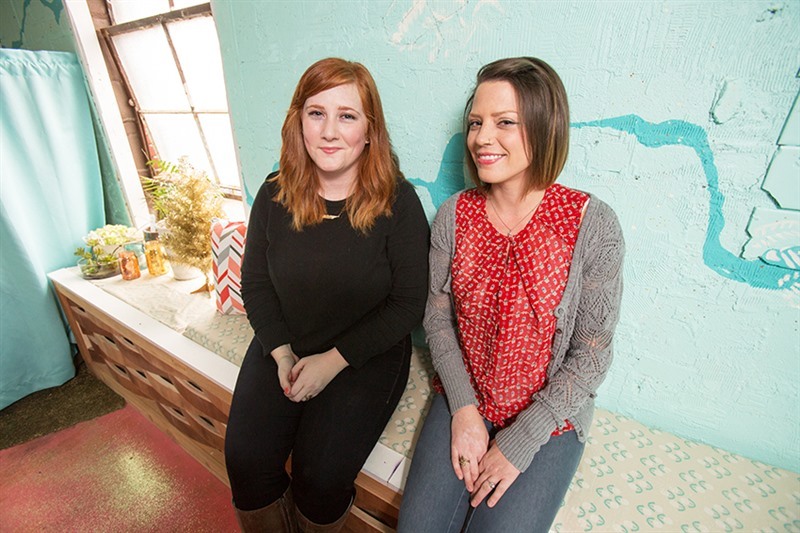 To help Cooper-Young prepare, the Lamplighter interviewed Carla Worth and Mallory Elkins, owners of Aunt Keys Apothecary, a Midtown-based natural cleaning company. Aunt Keys officially began in 2013, although both the current owners had been cleaning since 2009. Worth started the business after growing her own clientele and realizing that she could take on more clients if she hired a few housekeepers work alongside her. In 2015, the business had seen rapid growth, Worth invited her best friend, Elkins, to join the team as Manager and Part-Owner. The unique business name came from Worth’s Aunt Key, who believed in natural housekeeping – just using vinegar to clean her countertops. The idea was expanded when the owners developed their own natural cleaners using homeopathic and organic essential oils. “Our philosophy is that every person deserves a clean home free of chemicals and pollutants. Having a client contact us after we’ve serviced their home to tell us how wonderful it was to come home to a clean house brings us great joy,” said Worth. Cleaning different houses with unique characteristics means Aunt Key’s cleaners can approach any job with confidence. “No two houses are the same. For houses in Cooper-Young, keeping the original woodwork and floors clean and shiny are my personal favorite. There is so much character in these old homes and seeing our products efficiently and naturally bring that back to life is why we do what we do everyday,” said Elkins. When it comes to Spring Cleaning, they recommend starting from the top: ceiling fans, in-take vents, window and door trim and to not forget about cleaning the interior windows to experience the natural Spring light. Aunt Key’s believes that natural products are the only way to go not only because of the environment but because they work.